Pretty sure this is the same buck in 2015. Big 2x3. 26 inches wide. Passed on him a few times during the hunt but he was so unique that I had to take him! Shot him last year to get him out of the gene pool. I took this video today while I was working earlier today. I'm terrible at judging age but this guy looked to me like an old deer who'd started regressing. He's got a little stub on his right side that looks like it'd count as a point though, so not a true 2 pt. The first video is kind of far away but the second is washed out by the sun. he has not missed many meals!!! Oh man I wish I had some better photos of the Forkasaurus Rex me and a buddy saw on his late tag this year. Crappy phone/spotter pics don't do justice to the mass this guy has.....all the way out to point tips. His driver side was just starting to fork, other than that a 2 with eyeguards. 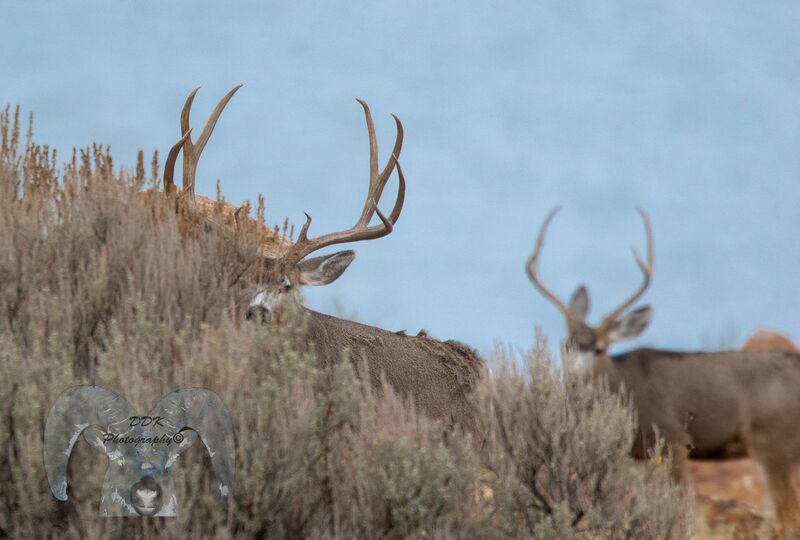 I wish I had taken a picture of the 2 point I saw in the entiat last weekend. Stud! Page created in 0.394 seconds with 46 queries.